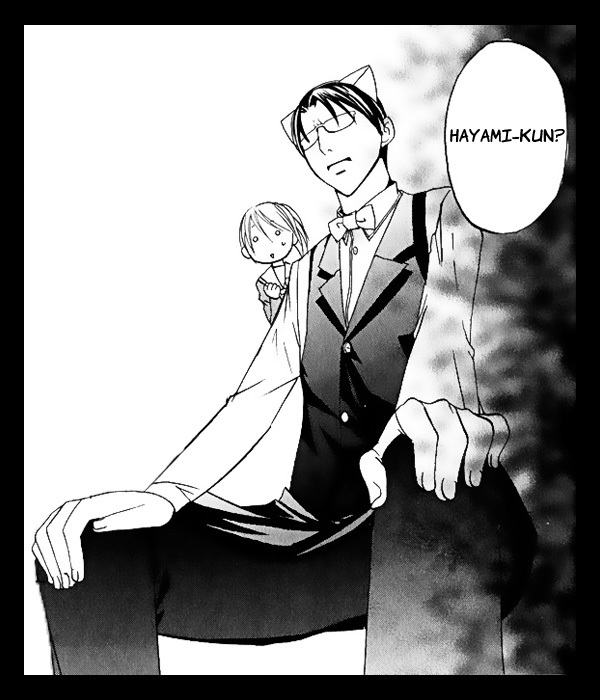 Here is “Kaichou-san no Koneko” chapter 2. There’s only one more chapter and very short omake left in this series! Next up is “Orange Chocolate” chapter 11. I’m narrowing down on some potential one shots. There are 3 recently released one-shots from from Kiyo Fujiwara that have caught my eye. They look like humorous boyhood slice-of-life stories. The two that just came out in in “The Hana to Yume” and the Baby extra comic book look extra-heartwarming. As for a new series, I’m looking for something with some action and romance. I’m currently searching through Asuka magazine, Hana to Yume, BetsuHana, Lala DX, and The Hana to Yume. Nothing in Lala has caught my eye. If you like Beauty Pop, the mangaka of Beauty Pop has a new series coming out in Cheese. I think the mangaka of Ultimate Venus also has a new series running in Princess. @orange2yellow — I don't get Cheese or Princess. As for series by Shigematsu, from what I've seen, all of them get dicey in terms of teen/adult romance, so I will steer clear. This one is so cute!! Thanks so much! @Amelia — “The Princess and 3 Beasts” is one of the series I'm currently considering. It has lots of action and beautiful drawings. It's released every other month during the months when Lala DX is not out. I will mostly like do a trial with that series to see how I and the rest of you like it. I think the art is very pretty but I don't what the story is like since I can't read Japanese. The only major problem with that series would be that it is an ongoing (9 volumes). @orange2yellow – a historical series would be nice, but 9 volumes ongoing is more than I would like to commit to. @Omari's Sister: Omg!!! I'm so happy to hear that you're already considering it! Action is always a bonus, it adds a bit more to the story than just characters talking in their heads. I really hope you like it enough to work on it. Thank you! thanks so much for this new chapter!! Previous Previous post: New Poll: Ukon or Sakon?